Although intellectualism in a traditional sense has sometimes subverted the community that has adopted the umbrella-genre, “EDM” (since its mainstream induction), there have been few artists who have advocated for not only higher realms of thought, but analyzing the meanings of our existence and making sense of it for a broader audience. 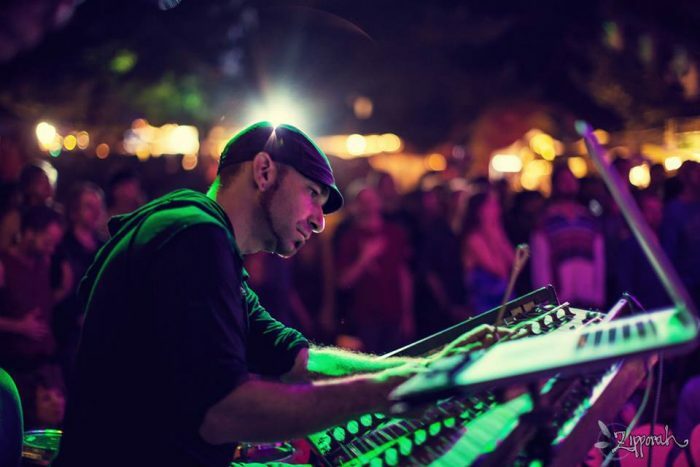 Jamie Janover has not only been crafting sick tunes through joint-efforts like Zilla, but also as a host of unclassifiable tunes that don’t fit into the normal conventions of what we know as everything electronic. Today at thatDROP, we are sitting down with the phunky philosopher himself, Jamie Janover to get the skinny on his music, lifestyle, and the pursuit of knowledge. This year will have an extended few days for The Sonic Bloom Academy on June 11th-14th. 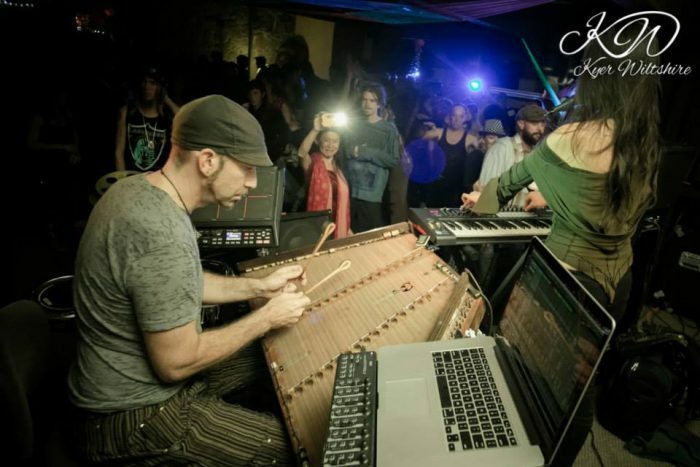 During these days attendees will get the opportunity to learn how to paint with the masters during the Visionary Art Series, find your connection to the earth in the Permaculture Action Series, develop more body awareness in the Movement Series and deepen your music production talents during the Ableton Live Master Series. What are you hoping people take away from this experience? Sonic Bloom Academy is where you can actually settle in and go deeper into your creative process. It’s less about checking out other people’s creativity, and going to see hours of music. [It’s more like] sit there, and really experience on how you make the music; get balance on your slackline, or subtle techniques in expressing your abstract thoughts in form of painting. It’s three full days, so there’s no rush. It’s not just like, “go to your two to three hour class and see how much you can get out of it.” [It’s more like] get out, set up your camp, chill out, and then all day Monday, Tuesday, or Wednesday, it’s completely immersive. Then in the evening, people continue to sit there and work on [the activities they learned during the day], and there’s a small number of people compared to the festival. There’s people who have had no experience with Ableton, and then they come out with something from it. 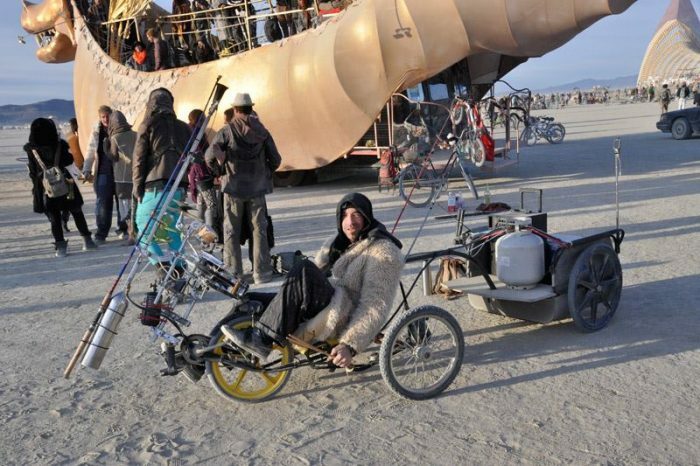 You can end up being there 8 days and leave Monday from the festival, in a sense it’s like Burning Man at that point. 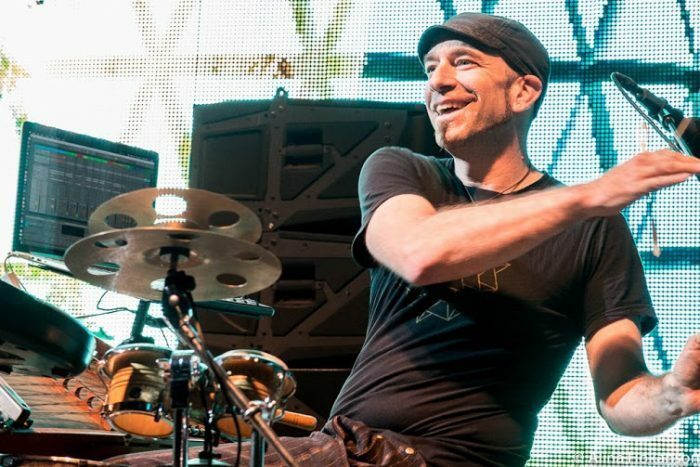 Check out more information on the Sonic Bloom Academy by clicking here. As we come into the 12th year of Sonic Bloom, you must be excited about the festival’s success. We are wondering, where and how did it all begin? It began in 2006 because Zilla (the band that I’m in with Michael Travis and Aaron Holstein), we got a gig at Mishawaka Amphitheater. With the folks up there, we expanded it out from one to two nights, and then created a mini-festival ‘kinda’ vibe. We couldn’t do it in [the same place] last year, but we definitely wanted to expand beyond just Zilla. 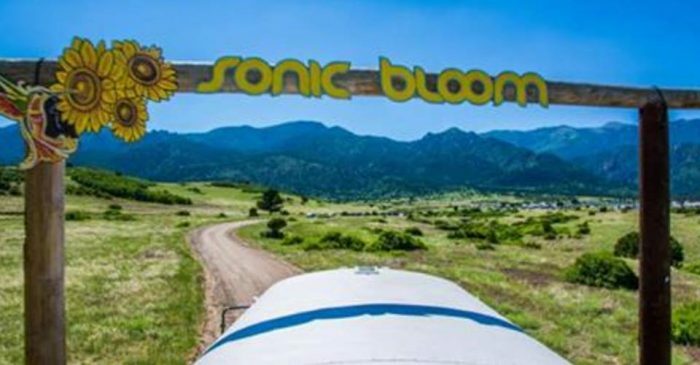 Sonic Bloom has been at the Hummingbird Ranch for the past three years. It really seems to be finding a permanent home there. What is your relationship with the grounds? 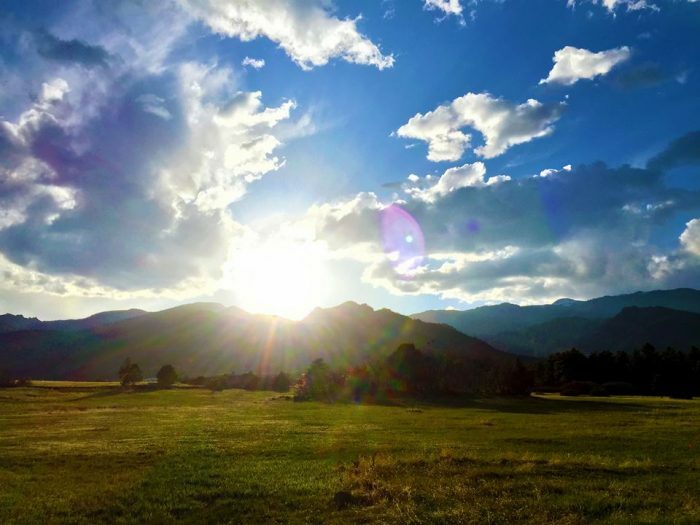 It’s a real beautiful spot near the mountains and plains, similar to Boulder, except you’re two hours from Denver,since you can still see the mountains. 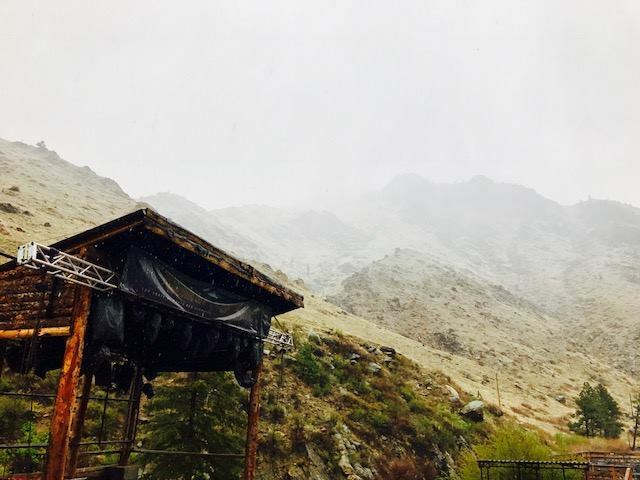 Having a home-base that’s really a big piece of wilderness has helped the festival get some roots going, and build upon things from year to year. [It’s helped] for the layout, the systems, so this is going to be a great year three on this site. We keep dialing it in more every year. [We discovered it] through word of mouth, and it was just a good fit. It has woods, a creek, and flat ground for camping which is nice. The third stage that [we had last year], we are switching it up. We don’t want to give away too many surprises, but it’s going to be called the Meadow Stage, which makes sense of where it’s located. How would you like to see Sonic Bloom and the culture around it, develop? I would say more awareness around the environmental impact; trying to train the festival community in general [in America] to where it is more like “Burning Man,” leave no trace. Pack it in, pack it out. Burning Man is the only big event like that where there is no recycling bins and no garbage cans. There’s only one festival in the electronic-related [circuit] that shares that in common, and that’s the Luminate festival in New Zealand. [With Sonic Bloom], there’s definitely garbage and things left, and it’s in our culture. 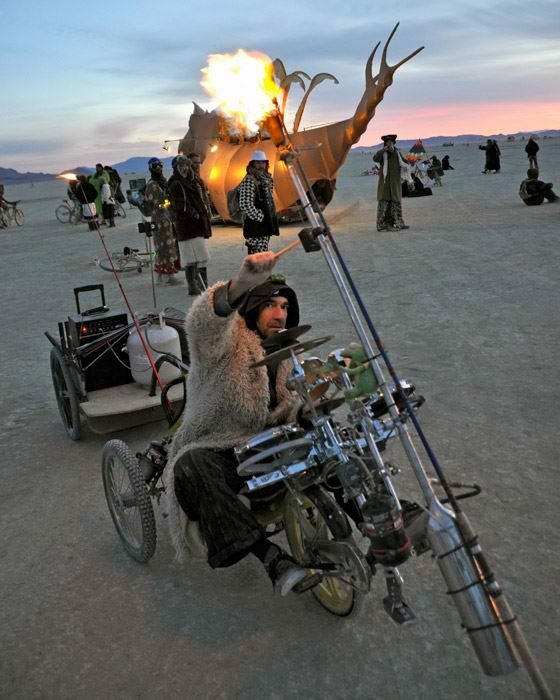 What kind of interactive activities have inspired you most since your experience with Burning Man? Anything where people walk up to [a piece of art] and don’t know what quite what it is, or what it does, and the only thing to [deliver its purpose] is to collaborate with those around you. Like, “I think if I do this and you do this, then it’ll do this!” Then people are laughing, and other people figure out what the thing does, and then they step back and figure it out, that kind of stuff. It’s the brilliance of artists who just put it out there, and see what happens. That’s kind of like what a festival does: there’s certain zones, things attach in a certain way, it’s not meant to get you there as fast as you can, but paths that have a purpose. What are the biggest challenges of throwing a successful music festival? Any tips on what makes or breaks a festival? The county has warmed up to us; they were very nice in letting us do this, and it’s an old county. We doubled the population of the county [by hosting it]. They are a really great community, they are welcoming, and we really appreciate the folks out there. [In other counties], you would have to jump through a lot of hoops to get a permit for this elsewhere. You can have this dream schedule and plans drawn up, but where are you going to do it? That’s the hard part, you know? For our readers that are completely new to the concept of The Unified Field, would you mind giving a layman’s explanation to the theory? Well, it’s the physics of the universe, and physics [is the study of the universe]. They create the idea that’s observed [in the field of mathematics]. The language, the mathematics of the universe (which is essentially geometry and math), and the Unified Field Theory refers to the idea that there’s one set of information that can describe the universe. There are currently two sets of information [that describe the universe] in physics. There’s a set of information that explains big things [like Einstein’s Theory], then there’s information that describes the smaller things, sub-atomic, quantum scale. Those two sets of information do not [communicate] very well. But now we are coming into this age in physics, where Nassim Haramein came up with the theory that unites all things [upon] all scales. It works all the way from the multi-universe scale, to the sub-quantom scale, all the way to the smallest measure of [our universe]. He’s got very powerful mathematics that shows how the structure of the universe is essentially the same [on different levels]. Is it safe to say that the matter between, the air, the energy forces, ect all connect us as a Unified Field? How would you ideally spread the Unified Field theory on a global scale? It’s all connected already, and it’s an extension of that. The music, the art, community, calling the festival “The Unified Field,” and I’m really excited that Sonic Bloom is collaborating with the Solar Eclipse Festival in August. Switching gears a bit, let’s talk about your music. Can you tell our reader a little about how and where Zilla came into fruition? What is the songwriting process like? Zilla was born out of another project called Zivouya; which started out with Michael Travis and Xander Green on guitar, and then I joined. 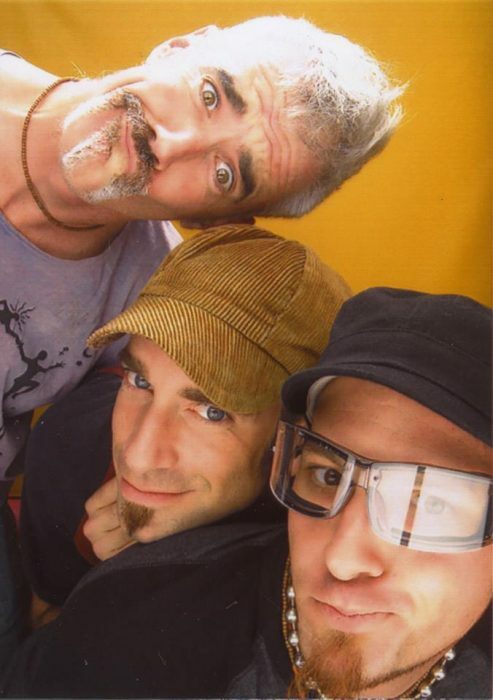 We toured for a couple years, and then there was a transition period; and a gig where Travis [without Xander] and I played with Aaron Holstein. That was at a String Cheese afterparty in 2003; that was the first Zilla gig. We toured quite a bit, and since 2008, we have been on a “once and a while” schedule playing shows, and not [consecutively touring]. We’ve been a band for 14 years. Where would you like to see the electronic music scene in the coming years? How do you feel it could impact our overall society? While your music escapes identification in the traditional sense, what genre do you feel most ‘at-home’ in when thinking objectively about the music you have made? Oh man [laughs] it would be like pan-acoustic…I’m just always doing different styles of music, so I’m improvising a lot of the time. So, it’s kind of Indian Classical influenced, Americana, Afro-Celtica, Indian-Pan-Asian Fusion. A lot of the time, I’m playing Asian dubstep on the hammered dulcimer, so that’s a little different. I play tracks like a DJ would, but [I’m also] playing the drums 95% of the time. I’m an acoustic musician that became an electronic musician. Do you have any other project in the works or at least have on your mind that you would like to develop? There’s PRAANG and [Micheal] Travis and Jason [Hann] (The String Cheese Incident). We have a great time playing that gig, and [with our schedules] we are all over the place. Maybe we can at least do an annual show every winter, so I’m looking forward to that more. I want to work on multiple albums (which is going to take some time). Each idea is moving along, but there are many of them, so they are moving slowly. I’ll do another big tour of these presentations next fall, I helped put together something with “The Resonance Science Foundation.” There’s an online course called the Resonance Academy that helps teach Unified Physics. We are doing the first annual gathering at the Pyramid of Giza in Egypt. I helped put together a cruise down the Nile where we are going to go to a bunch of sacred sites. [I’m spending] seventeen days in Egypt, and then going to check out Petra, Jordan and crazy ruins. I’ll probably do more Unified Field Theory talks to countries I haven’t been to. This information is spreading pretty well, and [has helped me] spread it the word about the universe [to the rest of the world]. For a rising producer, what advice would you give them on gaining momentum for their music career. How did you first learn to produce music? Just being active, going out to shows, and collaborating, experimenting; I mean, I don’t know. It’s a process of putting yourself out there. It’s like, put a whole bunch of fishing poles into the world. Put your work out there, no matter what it is. Somebody’s gonna like it, and guaranteed, not everyone’s going to like it. Do your thing, and put it out. If somebody asks you if you want to do a gig, or collaborate, say yes. If it’s great, it’s great, but if it didn’t work out, learn from it. Sooner or later, if you’re just persistent [you’ll find your path.] The difference between the unsuccessful people and the successful people is that the unsuccessful people gave up. Do you have any good life mantras you would like to share? Well, my great-grandfather said, “God put you on this earth to enjoy yourself — don’t let the old boy down!” [chuckles] which is a pretty old-school way of talking about God. Obviously that’s super old-school. I spoke at my great-grandfather’s funeral when I was 9, and that’s the story I told. My life hack is to have many different things going on [laughs] I don’t know if that’s a hack, maybe the opposite. Maybe to keep myself interested, is to think big picture, and minute at the same time. Thinking Macro and Micro at the same time, and [how they come together]. What sets are you looking forward to during Sonic Bloom this year? Any up and coming artists that you think shouldn’t be overlooked? I mean there’s a guy I came across recently who said, “you should check out Charlesthefirst,” and now his music is everywhere! The guy is blowing up; good for him! We have had a lot of artists that are just starting that quickly became too big to play Sonic Bloom. Pretty Lights played once, and then boom! I am currently working on a piece called “10 Ways to Thrive at a Camping Music Festival.” What do you bring to a music festival to help you thrive? I think strategic napping [is important]. The most effective way to enjoy yourself is to be well-rested. It’s challenging to do it at festivals sometimes; you have to time it so you don’t miss too much stuff. Finding somewhere to sleep during the day [where you’re not missing a lot of stuff], and by the time the afternoon music starts, you’re ready. There’s no way you can do everything, but plan for sleep like you plan for headliners. The strategic part is when you do it. Lastly, Jamie, we want to thank you for sitting down with thatDROP.com today and definitely helping us expand our minds. What artists or songs have been on your “chill-out” playlist lately? Well, I have to say, my favorite musician of all-time is Keith Jarrett, especially any of his solo piano stuff. He’s a jazz guy, so he’s done standards, quartets, and has been around since the 60s. It’s solo improvisational piano music that is really good “chill-out” music. I would say I like Indian Classical music.